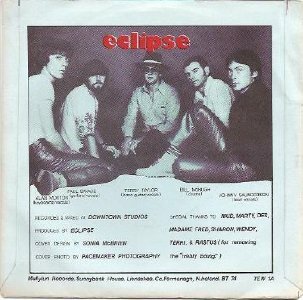 Eclipse were a MOR rock band formed in 1980. 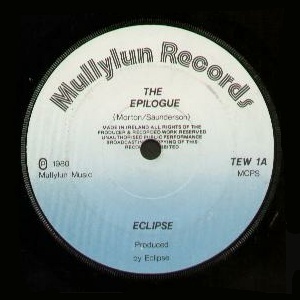 They released four singles in their lifetime and appeared twice on RTE's Non-Stop Pop in 1981. They played their final gig at the King's Hall in Belfast in 1988. Only singer Johnny Saunderson has remained active, currently fronting a hard rock band based in Vienna in Austria. Bill McHugh played drums on the first single. 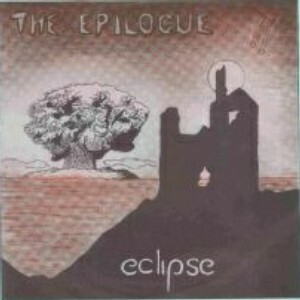 "The Epilogue" was once described on ebay as NWOBHM while the second single was offered as powerpop. 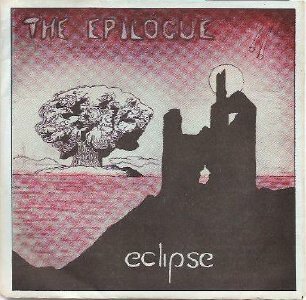 Having heard the first one, I'd describe Eclipse as a late progressive band with the lighter, poppier take on prog of late 70s bands of this type. This is most borne out on the B-side which is a (mostly) instrumental light progressive track not a million miles away from the likes of Fruupp, Camel and Kayak. 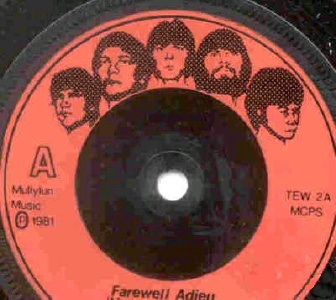 The A-side is a pop/rock piano-led ballad with an arrangement that's a cut above the norm. There is nothing even vaguely NWOBHM about either track.